In order to encourage people to use the state-of-art online payment using their mobile phone, Wing has cooperated with Jet`s Container Market along with their merchants to launch Wing Pay Event so-called “Wing Night Out” on September 9, 2017, from 6 PM to 11 PM. This event is open to the public. What are the activities for Wing Night Out? Customers who spend below 500$ will get 30% discounts on food and beverages. The valid time to enjoy Wing Happy Hours is from 7 pm to 9 pm. Our talent Heng Visal will spot customers paying with Wing and winners get JBL speakers as their premium gifts. This spotting will be done two times at 8:50 pm and 9:35 pm respectively. There will be the performances of G-David, Small World Small Band, DJ Maily, and others. Small World Small Band will perform at 7:35 pm to 8:00 pm and DJ Maily will play the music at 20:13 pm to 8:48 pm and 9:43 pm to 10:13 pm while G-David will be from 9:03 pm to 9:33 pm. The merchant with the highest numbers of transactions via Wing App will get 100$. All the customers at that specific merchant will get a free drink paid by Wing. This celebration will be at 10:13 pm. Each payment through Wing App at the Jet`s merchant partners will get a ticket to join the lucky draw. The awesome prizes will be 7 prizes of 10$ credit, a prize of 50$ credit, a prize of 100$ credit, and iPhone 7+. The lucky draw will be held at 10:23 pm. It is valid for Pay with Wing transaction at Jet`s Container from 7:00 pm to 9:00 pm on September 9 only. Customers who pay below 500$ will get 30% discount on food and beverages. Customers can get the discount per transaction only. The customer can only win one time during the whole session of the lucky draw. 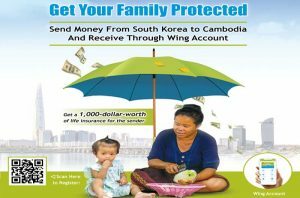 Winner must match Wing account number, phone number, and transaction ID registered in the system. Wing employees are not eligible to join the lucky draw.